In the beginning, there was soma. The Rig Veda, the earliest sacred text of the ancient Indo-Europeans, includes dozens of hymns in praise of this psychedelic plant which, when drunk, takes its subjects to the realm of the gods on its "blue tide." But, in the later Hindu tradition, soma is declared to have been "lost," and its use abandoned. The botanical identity of soma remains one of the great unsolved mysteries of the ancient world. 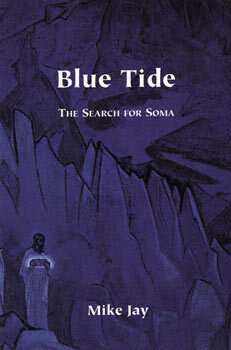 Blue Tide tells the story of the search for soma, and uses a diverse range of approaches - travel and ethnography, science and narrative history, detective story and first-person drug experiences - to examine the question of its nature and identity. The search takes the author from drug rituals in Brazilian churges to the high Indus Valley in the Himalayas. In doing so, it sheds light not just on the identity of soma but on the broader mystery of the original relationship between psychedelic drugs and religion. Both claim to offer the key to experiencing the divine, but their history is characterised by struggle and conflict. Blue Tide follows this conflict back to their common origins at the dawn of history. "An innovative and highly readable mix of personal experimentation and scholarly research.... Blue Tide adds important and timely new insights to the mystery of soma." "Blue Tide, more than any other book I've read, satisfactorily answers the plethora of queries concerning the history of drugs as a means of soul searching, attaining spiritual enlightenment, and getting off one's face. Read it before you get high. Read it before you die."